About NACEPF - NACEPF, INC.
North American Catholic Educational Programming Foundation, Inc (NACEPF) is a Rhode Island-based 501(c)(3) nonprofit organization and the second largest Educational Broadband Service (EBS) licensee in the United States. Founded in 1989, the same entrepreneurial spirit and passion for using technology to support lifelong learning continues today. Although the technological landscape has greatly changed over the last 29 years, our mission to help people of all ages and abilities reach their potential never changes. Education. We use our EBS spectrum to support education at every level, from early education through adult education. Technology. We work to ensure EBS spectrum is widely deployed and utilized. We deploy our EBS service through our subsidiary, Mobile Beacon, the leading provider of 4G LTE mobile broadband service exclusively for the education and nonprofit sectors. Faith. Faith is our foundation and it drives us to action to serve others, especially the poorest and most vulnerable among us. Philanthropy. Our philanthropic activities educate and empower people both in the U.S. and abroad to help them achieve their potential. NACEPF is licensed EBS spectrum in 51 markets across the U.S., including 9 large metropolitan areas, 18 mid-size markets, and 24 rural, under-served parts of our country. The diversity of our licensed markets gives us first-hand knowledge of the broadband challenges facing both urban and rural America. 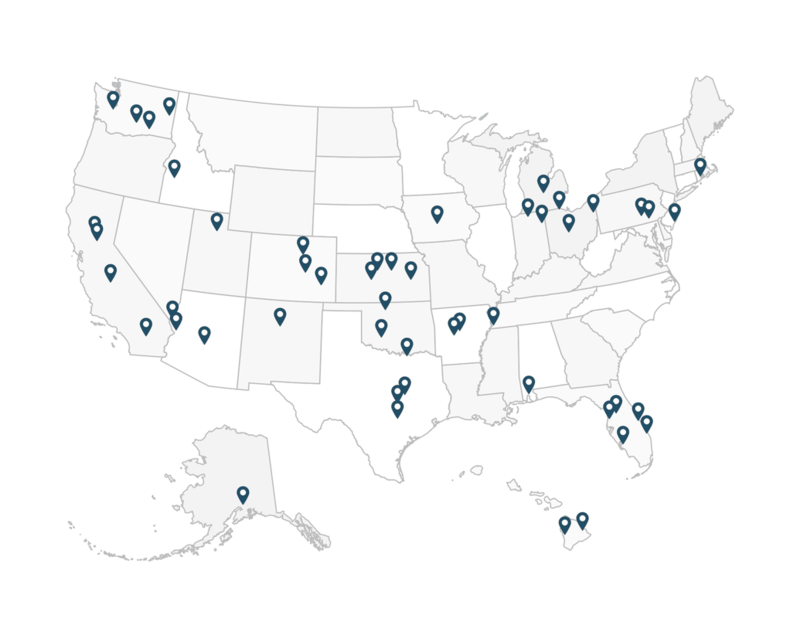 ​Today, through our subsidiary Mobile Beacon, we proudly support the broadband needs of K-12 schools, public libraries, colleges and universities, nonprofits, and other community anchor institutions not only in our EBS-licensed markets, but across all 50 states.